The marvellously named William Horatio Nelson Myers (1803-1869) was a well-heeled stock and share broker from our Leeds cohort. His story highlights the role of the educational society in middle-class and professional life in a fascinating way. Although we know William Horatio Nelson’s parent’s names (John Myers and Ann Acham), we do not yet know their occupations but it would seem that William Horatio Nelson faired well in life, gathering property and wealth. For example, the Leeds Tythe Map Project reveals that in 1857 he owned a 2-acre meadow with buildings that he leased to a Henry Temple. Certainly at his death in 1869, his probate valuation of £30,000 indicates considerable financial success. Although we do not yet know much about his background [please let us know if you do], we do know that he married well, to Mary Elizabeth Beswick (b.1812) the daughter of a local landowner and Justice of the Peace. This marriage would later secure the Myers family an ancestral manor and a little local celebrity status. Digging into a mound on his Gristhorpe estate near Scarborough in 1834, Mary’s father William Beswick (b.1781), discovered a substantial log buried deep in the barrow. He called in his friends from the Scarborough Philosophical Society to help remove the ancient oak log. Lifting it out of the barrow, the log split to reveal it was in fact hollowed out and contained the remains of a man. 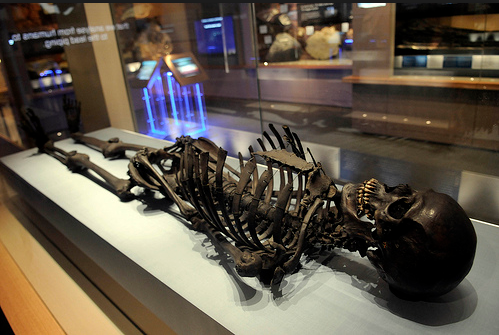 The 4000-year–old Gristhorpe Man was given to the Rotunda Museum in Scarborough where he still resides, where William Crawford Williamson (1816-1895), then little more than sixteen years of age, quickly wrote up a monograph on the ancient man. Facial reconstruction of William Beswick’s Gristhorpe Man. Although he did not have any real skeletons in his closet like his father-in-law, William Horatio Nelson was also a society man and a member of the Leeds Philosophical and Literary Society. He was also on the committee of the ‘Lancashire Cotton Districts Relief Fund, Leeds’ in the 1860s when the American Civil War cause unemployment and poverty in the region when its impact on cotton supplies forced many cotton mills to close. 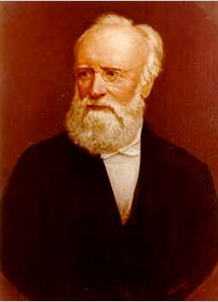 Turning to generation 2, his son William Beswick Myers (1850-1904) did not follow him into the stockbroking profession, instead training in hydraulic engineering, studying in Berlin and returning to join the firm of respected engineer, John Fraser (1819-1881), whose daughter he later married. (The latter was the son of an architect and was well regarded in his field.) 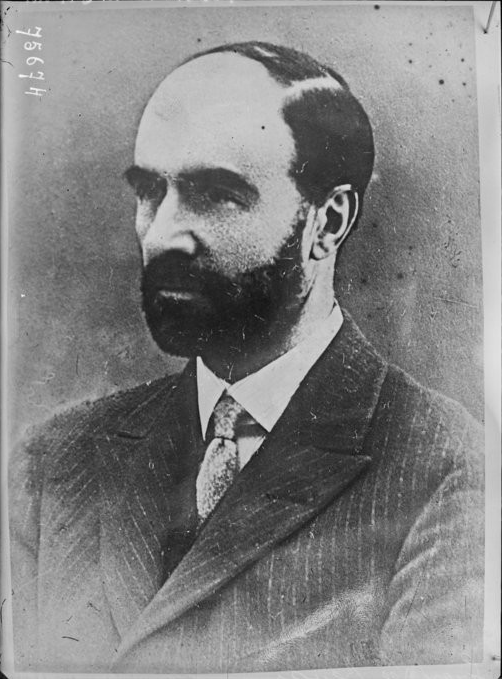 William Beswick was involved in constructing many important branches of the Great Northern Railway among other works but he also inherited the estate and title of Lord of the Manor of Gristhorpe in 1895 when his unmarried uncle, Thomas Keld Beswick died. A man of the community, he became a magistrate for the North Riding of Yorkshire and like his father and grandfather before him was a society man, joining the Leeds Philosophical & Literary Society. William Beswick Myer’s four daughters appear to have been well educated; certainly Marjorie (b.1887) was educated at Roedean. They all seem to have lived independently on private means, although Joan Fraser did eventually marry automobile engineer, Major Kenneth Sporswood Jones, possibly later in life. William Beswick’s only son Bryan Beswick Myers (b.1879) sadly was unable to carry on this family’s professional project and died aged just 18 in 1896.